Anyone that knows me knows that I have been a supporter and adopter of Microsoft technologies for decades. I prefer not to use the word “fan”, because I’m an active participant, not a passive onlooker. I’ve attended almost every Microsoft developer conference since 1993, back when it was called PDC. I’ve built small and large software on Microsoft technologies my entire career. I built a framework on top of Microsoft VBA. I started a company with a former Microsoft employee. I’ve contributed to Open Source Microsoft projects. I’ve built an e-commerce platform on .NET and IIS that has transacted over $1B and has endured the tests of time. 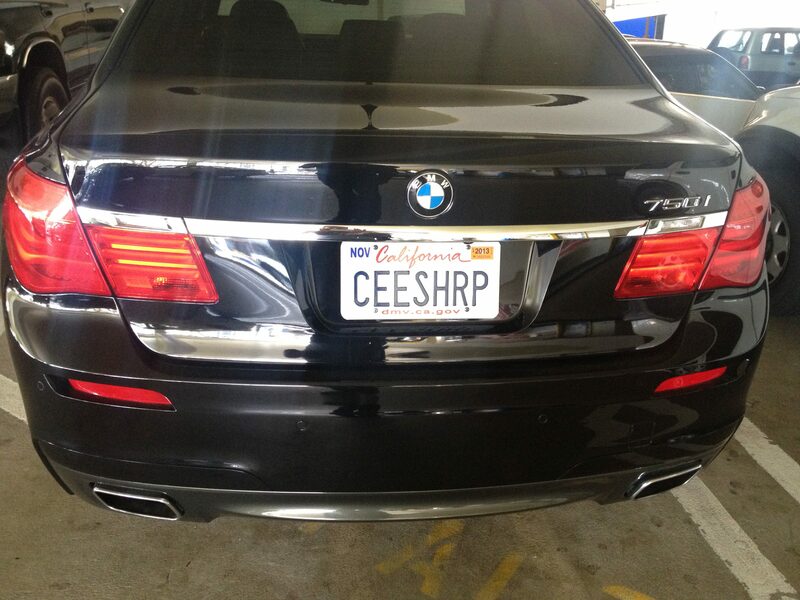 My license plate used to be CEESHRP! My ties to Microsoft have been a big part of my career path. I understand how Microsoft works, and I understand what .NET is and what it’s not. I’ve heard from countless Microsoft naysayers, and defended Microsoft for decades. It’s been a tireless fight – and I’m not ready to give it up. .NET is often misunderstood. It’s doesn’t only run with “expensive Windows licensing” and it is definitely not a big and slow monolith. It is a mature framework that runs on the big 3 (Windows, OS X, Linux) operating systems and is behind the fantastic cross-platform mobile app product, Xamarin. .NET has been cross-platorm for a while, and with the efforts of Mono, even runs on iOS and Android. .NET is indeed portable. And recently, Microsoft did something really bold – they decided to open source .NET. From its mature and reliable lineage, .NET Core was born. 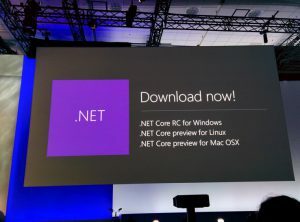 Finally, the .NET Framework will be truly native, truly open source. The community can contribute to it and make it even better than it already is. This was a big move, a big announcement, and part of the “new Microsoft” that new CEO Satya Nadella has been building. The Microsoft developer community was buzzing with excitement over this. The rest of the developer community – a bit skeptical. After decades of closed source, these transitions take time. They don’t happen overnight. This was the beginning of something really, really right. Flash forward from the announcement to today, about 18 months later. .NET Core is turning out to be AWESOME. I ported a few of my projects to RC2 easily, and one of the best parts about the experience was this very simple, project.json file that is at the root directory of every project. This file basically tells .NET Core which dependencies to include and how to output the result of a compile. It’s simple, it’s easy to read, and it’s aligned with the way many, many open source projects work. Open Source developers are used to this – a product, and a config file. Config, run, modify config, run again. Get it right, tweak, tune, rinse, test, push, deploy – REPEAT. This is the way we work. This week, I saw a tweet announcing a new blog post from the .NET Team, and was excited to see what’s new. Option 1: Keep project.json, work around the complex projects, and make it work. Simple, or complex, depending on the size of the project. One file. Option 2: Support BOTH project.json and myproject.csproj, and if both exist for the same project, display warnings or errors, and/or have different output assembly root targets for each project type. Option 3: Stick to this decision to abandon project.json, and watch .NET Core grow slowwwwwly, and watch new frameworks rise up and pass you. Option 4: Get Forked. The community outside Microsoft decides that this issue is forkworthy, forks the CLI, and preserves what has been built so far for project.json while keeping up with the rest of the runtime changes. Option 3 is the beginning of the end. You may not see it now, but it will hurt you long-term. It will absolutely fuel the flames of the bad stigma Microsoft has in the open source community. Option 4 is a question of Why? Why have two factions with different goals? That didn’t work out for io.js and Node.js, and it won’t work here either. It will spark mistrust, resentment, and the product will suffer. I really hope this doesn’t happen. I hope you decide to do the right thing and re-think this. Your long-term respect, adoption, and company growth are at stake. It may seem like a small decision now, but it’s these small decisions that have large impact. Look back on your own incredible history. Look within and you’ll find the answer right in front of you. This tweet should not exist. I hope they make it right.